Cool, Wet Weather to Return Next Weekend. Six Teleconnections that Suggest this Winter's Pattern Continues! I am seeing some interesting active late season weather beginning around Saturday May 6 and continuing for a couple weeks into Middle or even late May. These wont be huge storms like this winter but more cool showery lows with embedded thunderstorms and enough to warrant people to question "What is happening to our climate system?" Once again the global teleconnections are again in perfect alignment for troughing along the West Coast of North America. Yes, I know its time for Spring and warmer weather but we might need to wait- albeit this weeks heat spike- till June. The pattern that is unfolding is very similar to what brought us rains throughout our Winter and doesn't seem to want to budge. The climatic pattern taking shape in the North Pacific is supported by the Negative phase of the Arctic Oscillation or a weakening pressure gradient between the North Polar low and southerly high in the Central North Pacific along with the North Atlantic Oscillation which is going negative also. I have listed some of these complex teleconnections below. 1.) El Nino becoming new Normal- the oceanic sea surface temperatures are very supportive for a very active energized North Pacific jet stream and lower latitude storm track, meaning the east equatorial Pacific is anomalously warm (positive ENSO values). 2.) Indian Ocean Dipole- the Indian Ocean dipole is in neutral/positive phase allowing the thunderstorm belt/low pressure area to find a quasi equilibrium in east equatorial Pacific. This dipole has been in negative phase for the last two years or so and is moving toward positive now or a cooler sea surface temperature regime in the East Indian Ocean and has big impacts on the Madden Joulian Oscillation and intensity of El Nino rains during our Winters in Central California. 3.) North Pacific "Blob"- the North Central Pacific Ocean where the " warm blob" was at fault for ridging during the drought is staying cool with below normal sst's. This cooler surface water weakens the North Pacific high and allows the storms drop south into California instead of being deflected into Canada . 4.) 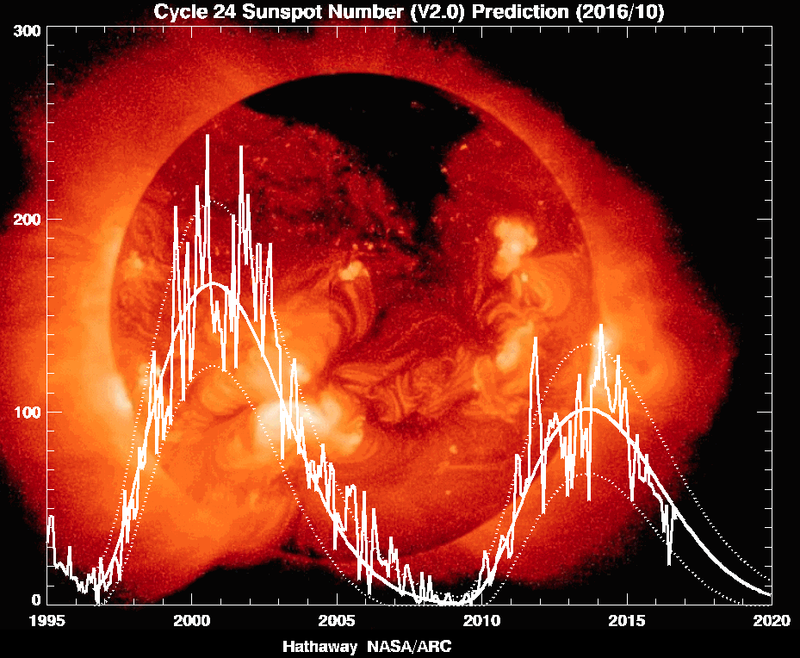 Sun Phase-Our solar disk or sun phase continues to show the "sleep of the sun" or the lowest sun spot/solar activity we have witnessed in possibly hundreds of years or maybe thousands. This low sun spot phase is effecting the tropopause (layer of atmosphere between Troposphere and Stratosphere) and the upper level temperatures of the Troposphere, thus influencing the high pressure or warming of the arctic (more ozone is a function of less incoming solar radiation creating a heat sink during the Winter and higher pressure over the Arctic). 5.) Pacific North America Pattern-The strong Arctic High this winter responsible for record warmth in the Arctic is also exerting forcing on the Northern Hemispheric jet stream supportive of a positive Pacific North America Pattern or lower warmer jet stream entering the West Pacific Ocean from southern Eurasia. This jet stream pattern is also related to the positive ENSO values taking hold in a large portion of the east equatorial Pacific Ocean. 6.) 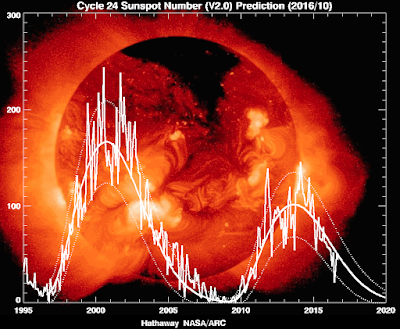 Hadley Cell- Lastly the Hadley Cell circulation properties at the present-conducive of Solar Minimum- is relinquishing the equator warmth into a lower latitude than normal (reason we had so many atmospheric rivers this Winter I'm hypothesizing). Hadley Cells play a major role in earths thermodynamics and its heat budget and equilibrium. It seems with a warming planet from natural and man made influences along with the very low solar minimum levels could be a perfect combination for a wetter climate along the West Coast of North America. Bottom line our weather pattern or global climate system is in territory we have never seen especially with the very high human induced CO2 levels thus "normal" is no longer going to be "normal" and we need to prepare for weather patterns we have never seen or experienced since weather record keeping began. *Fantasy forecast seeing next Winter looking extremely active again and could be one of wettest years since floods of 1862 and yes i mean wetter than this year with no break in March next Winter. Bit worrisome to be honest! Are you expecting a active monsoon season across California.